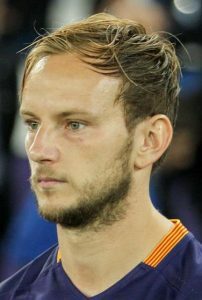 Barcelona midfielder Ivan Rakitic believes the Catalans deserved to beat Valencia in the 2-2 draw between the two clubs on Sunday. Despite Barcelona’s eight-game winning streak before the match, they were made to come from behind as two goals from Lionel Messi saw them come from 2-0 down at the Camp Nou, taking them six points clear at the top of the La Liga standings. Following the game, Rakitic suggested that Ernesto Valverde’s men had enough of the match to earn maximum points. He said: “We surely deserved to win. We played a much better game than Valencia. The reigning La Liga champions are straight back in action on Wednesday evening as they square off with El Clasico rivals Real Madrid in the semi-finals of the Copa del Rey on home soil. Barca are priced at 4/6 to win the first-leg with bookmakers Paddy Power.